Events & Corporate Wellness too! Natural Solutions for Daily Vitality and self care, Digestion, Immunity, Energy, Mood, Occasional Body Aches, Hormonal Balance, Sleep, Stress, Creativity, Motivation & Focus. Massage -- where the tangible meets the intangible helping others to tune in, feel whole and heal themselves. Let massage allow your body to relax and heal. My goal is to create a session tailored to your mind, body and spirit. After relieving tension and restoring a harmonious energy flow, you will carry yourself into the world moving with a renewed sense of well-being. I specialize in combining a relaxing Swedish & Deep Tissue massage with elements of Shiatsu, Acupressure and Sports modalities to heal chronic pain and holding patterns. Aromatherapy and topical use of Essential oils can heighten your massage experience. I offer complimentary wellness consultations to build your wellness plan including Acupressure, stretches, and Essential Oils so you can continue healing at home. Massage helps restore a peaceful mind body connection as it realigns, relaxes and rejuvenates us. I offer Healing Events to empower others to learn to use natural solutions to their health. Become a healer in your family with Certified Pure Therapeutic Grade Essential Oils & Supplements and Acupressure. 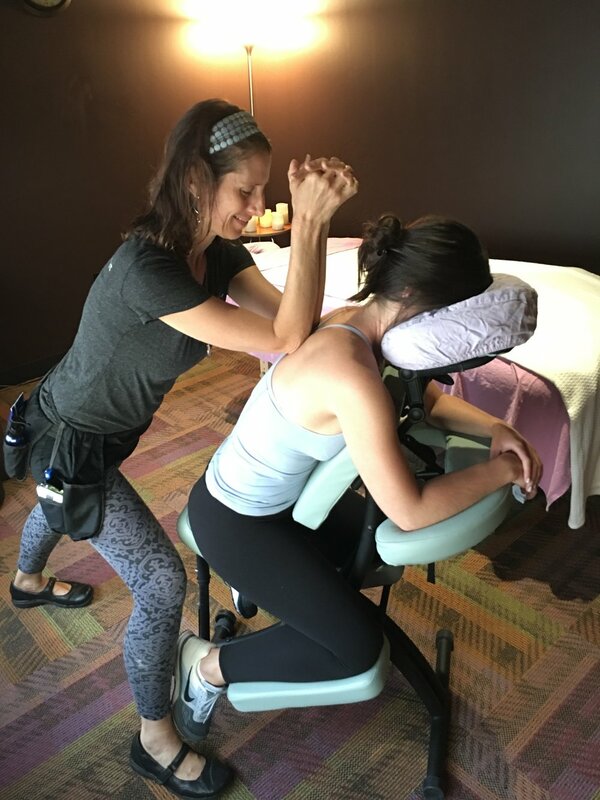 Trained at McKinnon School of Bodywork and Massage, The San Francisco School of Massage, Harbin School of Healing Arts and The Diamond Light School, I seamlessly integrate Western and Eastern modalities including Swedish, Deep Tissue, Sports, Shiatsu and Acupressure massage. Visit the "Events" tab for upcoming workshops and events.